I did something which may seem a little crazy right now, but I think a lot more people will be doing it in the future: I published my genome on the web. More correctly, I published the ~1,000,000 SNPs identifiable by 23andMe&apos;s v3 array. There are some folks who have also done this before me in a similar way: Orta Therox, Luis Gustavo, Alexander Kukushkin, Manu Sporny. (See Manu Sporny’s blog post for some good insight. I probably got the idea from him. I have been meaning to do this for a while and I must have read his blog post about it a few years ago). I am a relatively early adopter of 23andMe, getting my genome first sequenced on April 30, 2013. This was before the FDA stopped 23andMe from publishing their health reports. I was intrigued by the possibility of learning about well known markers for problems such as Alzheimer&apos;s and Crohn&apos;s Disease. While the FDA was preventing 23andMe from selling health risk reports to new customers, I was grandfathered in for a while and could get to the health reports while new customers could only get some data on genetic traits and ancestry. The health reports are back now after years of collaboration with the FDA, but it is not clear to me how they differ from what was available before. When I first used 23andMe, some people I talked to about it were horrified at the thought of exposing so much data to a private company. They imagine scenarios such as insurance carriers denying coverage based on a known risk. While I think such concerns are valid, I think the benefits outweigh the risks. 23andMe provides a feature for exporting the raw data of a sequenced genome. One can then use this in tools such as Promethease, osgen, and SNPedia. Devices for genome sequencing are plummeting in cost. You leave copies of your genome everywhere you go in the form of skin cells, hair cells, and saliva. It does not matter how you feel about the privacy of your genetic data, it will all be visible to anybody who wants it soon enough. Anybody developing or testing software can use my genome and that of others who have published theirs. I am hoping that more people will do the same and accelerate progress in open source genetic science. One can buy a commercially available device right now, plug it into the USB port of a personal computer, and start sequencing genes at home. We are close to a crazy future where people can sequence a genome (theirs or that of someone else) at home, with inexpensive equipment. How will that affect places where there are legal restrictions on paternity tests, such as France and Germany? DNA testing is being used to ascertain the provenance of sushi and the pedigree of dogs. What happens when phones can easily run apps that talk to sequencing devices? How soon before dating involves having software review a potential partner&apos;s genome, both for long term health issues and desirability of offspring? One could even take the published (or otherwise documented) genomes of two people and figure out what their children might look like using software specifically designed for this purpose. Charles Sibbald published some proof of concept code of how such software would work. Will census takers at some point start collecting genetic samples? Will employers require them? Will governments prevent such collection by regulation? 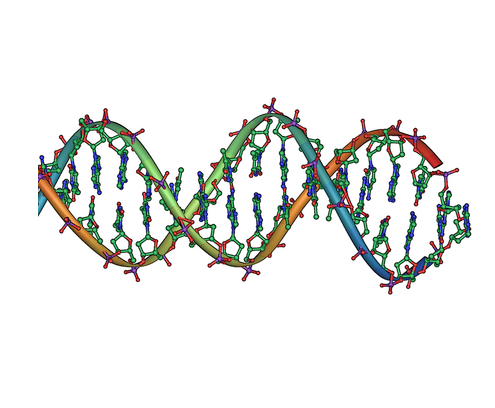 Will people be discriminated against or harassed based on their genome? Maybe we will see companies pop up that collect genetic samples, deanonymize them, and sell them to others, like we see for ad networks and license plates. This could be a terrible idea and maybe I will regret publishing my genome, maybe because somebody figures out a way to target me directly with a personalized disease (a great talk on this was brought to my attention), maybe because I will suddenly lose my health insurance. I don&apos;t think such scenarios are likely. If I live through such a lesson, I will write about it.